Draft: 2011, San Francisco Giants, 1st rd. Married Brittany Pinto on December 3, 2016. Accounted for the Giants' first three runs of the 2018 season, all via solo home runs (March 29, March 30 and April 3)...according to (Elias), the Giants were the first team in MLB history whose first three runs of a season came on solo home runs by the same player... Placed on the 10-day injured list on April 28 with a left thumb sprain...underwent successful surgery to repair a torn ligament in his left thumb on April 30 performed by Dr. Steve Shin...returned from his rehab assignment and activated from the injured list on June 1...Placed on the 10-day injured list with a left groin strain on July 7...missed 17 games and was reinstated from the injured list on July 30...Batted .272 in 48 games after the All-Star break after hitting .240 in 54 games prior to the break...Went 178 at-bats without homering to end the season, the second-longest drought of his career and longest since a 216 at-bat streak from August 22, 2014-May 2, 2015...His .332 slugging percentage, .307 OBP and his .639 OPS were all career-lows...Accounted for the Giants' only run on Opening Day at Los Angeles-NL on March 29, homering off Clayton Kershaw in the 5th inning...was the second time in Giants' 136-year history that they won a 1-0 game on a HR by a second baseman...the last was on September 17, 1968 when Ron Hunt homered and Gaylord Perry tossed a no-hitter vs. St. Louis (Elias) ...Gave the Giants a 1-0 win with his solo homer in the 9th inning the next night (March 30) at Los Angeles-NL, this time homering off Kenley Jansen...in doing so, Panik became the first player in MLB history to hit a home run in each of two consecutive 1-0 games at any point of a season (Elias)...Joined Willie Mays and Mel Ott as the only Giants to ever homer on the road against the Dodgers in a 1-0 victory... Mays did it in 1956 at Roosevelt Stadium and Ott did it twice (1935 and 1938 at Ebbets Field)...Connected on another solo homer, this time on April 3 vs. Seattle in the 4th inning...was his first homer at home since August 28, 2016...Made his first professional start at first base (Majors or minors) on September 22 at St. Louis. Hit .288 with 28 doubles, five triples, 10 home runs and 53 RBI in 138 games...Hit .249 at home, compared to a .320 average on the road...Became the 12th player to hit 10-or-more home runs either all at home or all on the road since 1942...he is the eighth player to accomplish the 10+ homers all on road trick...Started 131 games, all at second base...Hit .370 (33-for-88) in the month of September, the third-highest among all NL players...For the fi rst time in his big league career he was in the leadoff spot in the batting order when the Giants faced the Padres on April 7 at Petco Park...Hit his fi rst career leadoff home run off the Cubs' John Lackey on May 22 at Wrigley...Set a franchise record with 12 hits in a threegame series Sept. 4-6 at Colorado...his 12 hits also tied a modern era record for any player in a three game series...Nearly 25% of his hits came against the Rockies (34 of 147)...Was activated from the disabled list on Aug. 25 (concussion)...was hit in the head sliding into home plate on Aug. 13 at Washington and was placed on the DL on Aug. 15...missed nine games. Hit .239 (111-for-464) with 21 doubles, seven triples, 10 home runs and 62 RBI in 127 games. Was the hardest player to strikeout in the Majors, averaging 11.19 plate appearances per strikeout. Missed six games with tightness in his groin… suffered the injury after running down the line in the ninth inning on April 29 at New York-NL. Was hit in the head by a pitch thrown by Matt Moore on June 18 at Tampa Bay...started to feel some concussion like symptoms June 28, despite playing the previous week...missed 23 games. Slugged a two-out, three-run home run in the top of the ninth inning snapping a 3-3 tie in the Giants' 6-4 win over the Rays on June 18...according to Elias, he was the first Giants' player to hit a go-ahead home run with two outs in the ninth inning or later since Buster Posey against the Rockies on Aug. 27, 2014. Registered his first career multi-homer game on Aug. 28 vs. Atlanta, hitting a pair of HRs off Braves starting RHP Aaron Blair. Despite starting only 118 games, he won his first Gold Glove, becoming the first Giants second baseman to win since Robby Thompson in 1993. Made his first career Opening Day roster and batted .312 with 37 extra base hits and an .833 OPS in 100 games....Missed most of the final two months of the season with inflammation in his lower back....Among NL leaders (prior to going on the DL) ranked fifth in hits (116), tied for seventh in doubles (25), eighth in on-base pct. (.374) and eighth in batting average (.309)....Posted a .996 fielding pct. and made just two errors in 461 total chances at second-base....Recorded his first career game-ending RBI on April 22 vs. Los Angeles-NL, hitting a sacrifice fly in the bottom of the 9th inning to give the Giants a 3-2 walk-off win...Hit his first HR of the season May 3 vs. Los Angeles-AL off RHP Jered Weaver…his homer was part of back-to-back HRs with leadoff hitter Nori Aoki in the 1st inning…it was the fourth time ever the Giants had started a game with back-to-back homers....Recorded a career-best 11-game hitting streak from May 3-15, batting .310 (13-for-42) during the stretch....Was elected by MGR Bruce Bochy to his first All-Star team…became the seventh Giants second baseman to make an AS roster....Was placed on the 15-day disabled list Aug. 3 with inflammation in his lower back…underwent an MRI Aug. 5 in San Francisco that confirmed inflammation in his lower back and revealed no structural issues....Returned from his rehab assignment at triple-A Sacramento and was reinstated off the 15-day disabled list Sept. 7....Appeared in just three games before being removed from the game on Sept. 9 at Arizona after feeling some discomfort in his back when swinging a bat and when he dove for a ball at second base....Was placed on the 60-day disabled list Sept. 16 missing the remainder of the season…went through a second round of MRIs and scans and his condition didn't worsen when he returned to the field, and the tests confirmed that he was just dealing with inflammation, not a chronic issue. Rookie second baseman made his Major League debut in mid-June and established himself as one of the top NL rookies in 2014, hitting .305 (82-for-269) with 10 doubles, two triples, a home run and 18 RBI in 73 games...Led all NL rookies in batting average and on-base pct. (.343) while tying for fourth in multi-hit games (25) and placing sixth in hits...Was one of eight Giants to play second base, joining Brandon Hicks (59 starts), Ehire Adrianza (15), Joaquin Arias (10), Matt Duffy (5), Dan Uggla (4), Marco Scutaro (3) and Tony Abreu (0)...started 66 games at second, which were the most starts at second by a Giants rookie in a single season since Robby Thompson started 145 games in 1986...Went 31-for-83 (.373) versus left-handed pitchers...since the team moved to San Francisco in 1958, only two Giants rookie left-handed batters hit at least .300 against southpaws in at least 50 at-bats: Willie McCovey in 1959 (.340) and Will Clark in 1986 (.308) (Elias)...Hit .317 (46-for-145) in 39 road games, the eighth-highest avg. among Giants rookies with at least 100 PAs on the road since 1958...Had his contract purchased from triple-A Fresno and was added to the Major League roster on June 21 while the Giants played the D-Backs in Arizona...hit .321 (94-for-293) with 50 runs, 14 doubles, five home runs and 45 RBI in 74 games with triple-A Fresno...SF was hesitant to make a move and wanted Panik to continue his growth at triple-A, but the trio of big league second basemen on SF's roster (Adrianza, Arias, Hicks) struggled for over a month, combining to hit .179 (40-for- 223) with 21 RBI from May 1-June 21...Beginning Aug. 4, hit .345 (67-for-194) for the fifth-highest clip in the bigs behind LAD's Carl Crawford (.403), DET's Victor Martinez (.362), teammate Buster Posey (.354) and PIT's Starling Marte (.354). Spent the entire season with double-A Richmond, batting .257 (134-for-522) in 137 games...Finished second in the Eastern League in games played (137) and led the Squirrels in plate appearances (522)...Served as the Squirrels everyday 2nd baseman and #2 hitter in the lineup…he made 117 appearances at 2nd base and 128 starts batting second in the order...Topped EL second basemen with a .987 fielding percentage, committing just seven errors in 545 total chances...Named as a replacement to the Eastern League Midseason All-Star Team, appearing in the Eastern League All-Star Game in New Britain, CT...Got off to a hot start, enjoying his finest month of the season, batting .320 (31-for-97) in April...Entered the season rated as the #2 prospect in the Giants' organization by Baseball America...Enters the 2014 campaign rated as the 9th-best prospect in San Francisco's chain by Baseball America. Spent the 2012 season with Class A Advanced San Jose, hitting .297 (159-for-535) in 130 games...Was named San Jose's Defensive Player of the Year, as he led all California League shortstops with a .972 fielding pct...Ranked third in the California League with 159 hits and fifth with 93 runs scored...Was a non-roster invitee to Spring Training and entered the campaign rated as the 4th-best prospect in the Giants' system by Baseball America. Less than 3 months after signing contract with Giants' organization following his selection in1st round of MLB Draft, Panik made his presence felt in professional baseball as he was namedNorthwest League Most Valuable Player ... One of just 2 unanimous All-League selections, Panik batted.341 (92-for-270) with 49 runs scored, 10 2Bs, 3 3Bs,6 HRs, 54 RBI and 13 stolen bases in 69 games in his 1stprofessional season ... Led league in batting average, hits, runs scored, RBI andon-base pct. (.401) ... Led all shortstops with .964 fielding pct ... Named to Northwest League postseason All-Star team ... Named NWL Player of Week for Aug. 8-15 ... Following season played in Arizona Fall League and hit.323 (30-for-93) with 2 HRs and 13 RBI ... Was named AFL Rising Star and was selected to AFL All-Prospect Team ... Was selected to Topps Short-Season/Rookie All-Starteam. July 30, 2018 San Francisco Giants activated 2B Joe Panik from the 10-day injured list. July 26, 2018 San Francisco Giants sent 2B Joe Panik on a rehab assignment to Sacramento River Cats. July 7, 2018 San Francisco Giants placed 2B Joe Panik on the 10-day disabled list. Left groin strain. June 1, 2018 San Francisco Giants activated 2B Joe Panik from the 10-day disabled list. May 30, 2018 San Francisco Giants sent 2B Joe Panik on a rehab assignment to San Jose Giants. May 28, 2018 San Francisco Giants sent 2B Joe Panik on a rehab assignment to Sacramento River Cats. April 28, 2018 San Francisco Giants placed 2B Joe Panik on the 10-day disabled list. Left thumb sprain. August 25, 2017 San Francisco Giants activated 2B Joe Panik from the 7-day disabled list. August 23, 2017 San Francisco Giants sent 2B Joe Panik on a rehab assignment to San Jose Giants. August 22, 2017 San Francisco Giants sent 2B Joe Panik on a rehab assignment to Sacramento River Cats. July 28, 2016 San Francisco Giants activated 2B Joe Panik from the 15-day disabled list. July 18, 2016 San Francisco Giants sent 2B Joe Panik on a rehab assignment to Sacramento River Cats. July 13, 2016 San Francisco Giants placed 2B Joe Panik on the 15-day disabled list. Concussion-like symptoms. July 13, 2016 San Francisco Giants placed 2B Joe Panik on the 15-day disabled list. June 29, 2016 San Francisco Giants placed 2B Joe Panik on the 7-day disabled list. Concussion-like symptoms. November 2, 2015 San Francisco Giants activated 2B Joe Panik from the 60-day disabled list. September 16, 2015 San Francisco Giants placed 2B Joe Panik on the 60-day disabled list. Back. September 7, 2015 San Francisco Giants activated 2B Joe Panik from the 15-day disabled list. September 3, 2015 San Francisco Giants sent 2B Joe Panik on a rehab assignment to Sacramento River Cats. June 21, 2014 San Francisco Giants selected the contract of 2B Joe Panik from Fresno Grizzlies. June 21, 2014 San Francisco Giants activated 2B Joe Panik. March 31, 2014 2B Joe Panik assigned to Fresno Grizzlies from Richmond Flying Squirrels. January 13, 2014 San Francisco Giants invited non-roster 2B Joe Panik to spring training. 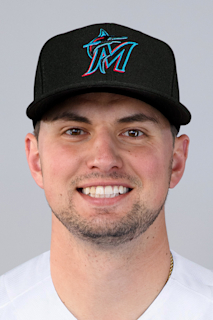 April 2, 2013 2B Joe Panik assigned to Richmond Flying Squirrels from San Jose Giants. February 1, 2013 San Francisco Giants invited non-roster SS Joe Panik to spring training. April 2, 2012 Joe Panik assigned to San Jose Giants from Salem-Keizer Volcanoes. January 18, 2012 San Francisco Giants invited non-roster SS Joe Panik to spring training. September 7, 2011 SS Joe Panik assigned to Scottsdale Scorpions. June 17, 2011 Joe Panik assigned to Salem-Keizer Volcanoes from San Francisco Giants. June 11, 2011 San Francisco Giants signed SS Joe Panik.